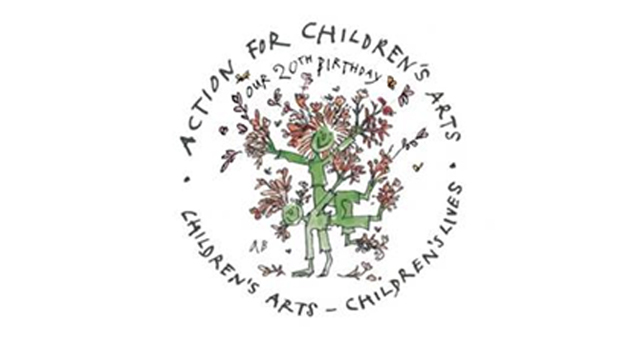 On Saturday 4 August 2018, Action for Children's Arts (ACA) launched the Arts Backpack UK at the National Theatre. This is a project which, if implemented, will ensure that every primary school child in the UK has at least five cultural experiences in the school year. It has been proposed to government ministers, representatives from Arts Council England and key individuals within the sector as a way to combat the diminishing role that arts subjects play in schools across the UK. At the National Theatre launch of this project, ACA put out the call for an individual to carry out a feasibility study. Those wishing to apply can find more information on www.childrensarts.org.uk. The feasibility study has been generously funded by Arts Council Northern Ireland, Belfast City Council, Cambridgeshire Music, Fife Council and two generous donors; and match-funded by ACA. The Arts Backpack is championed by ACA patrons including Sir Alan Ayckbourn CBE, Baroness Floella Benjamin OBE, David Bintley CBE, Michael Foreman, Jamila Gavin, Anna Home OBE, Michelle Magorian, Roger McGough CBE, Philip Pullman CBE, Lynne Reid Banks, Sir Tony Robinson and Dame Jacqueline Wilson. "Art was my boyhood 'magic carpet' to a world of Wonder. It has been all my life. Every child should have the opportunity to go on this ride."